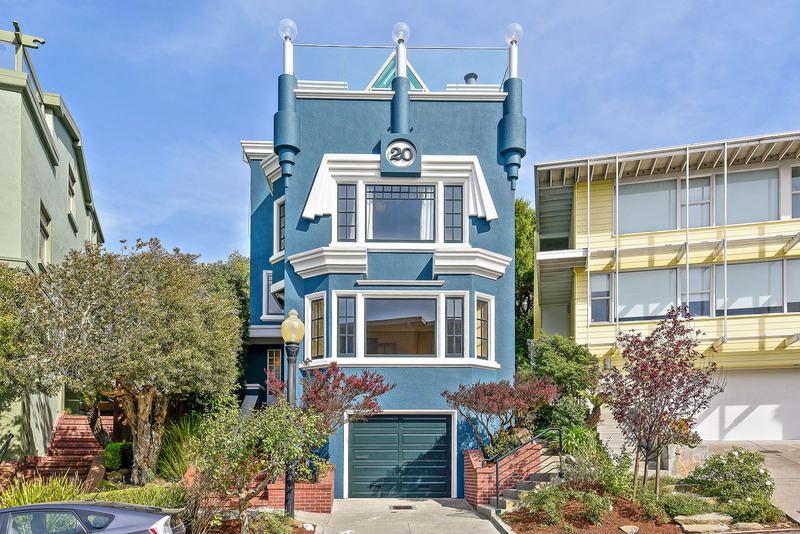 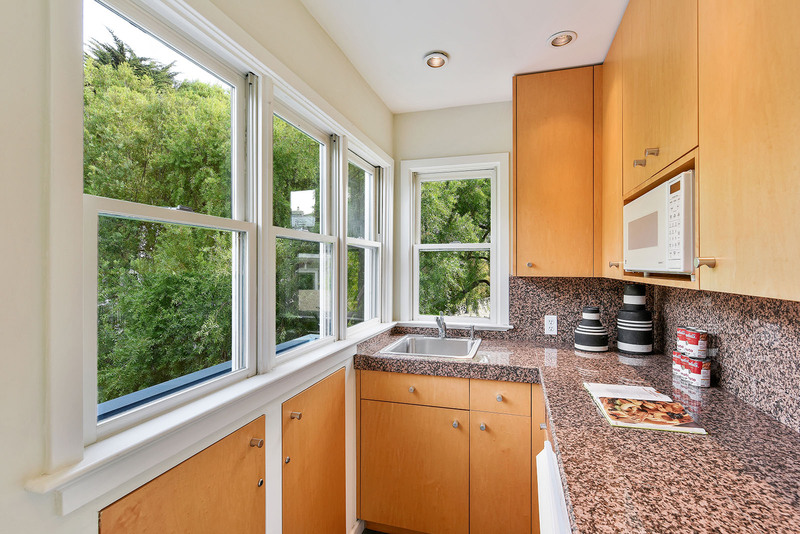 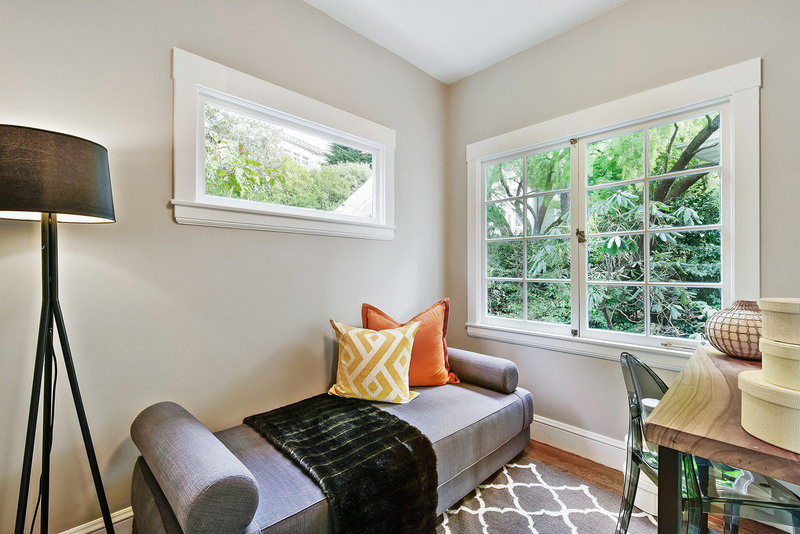 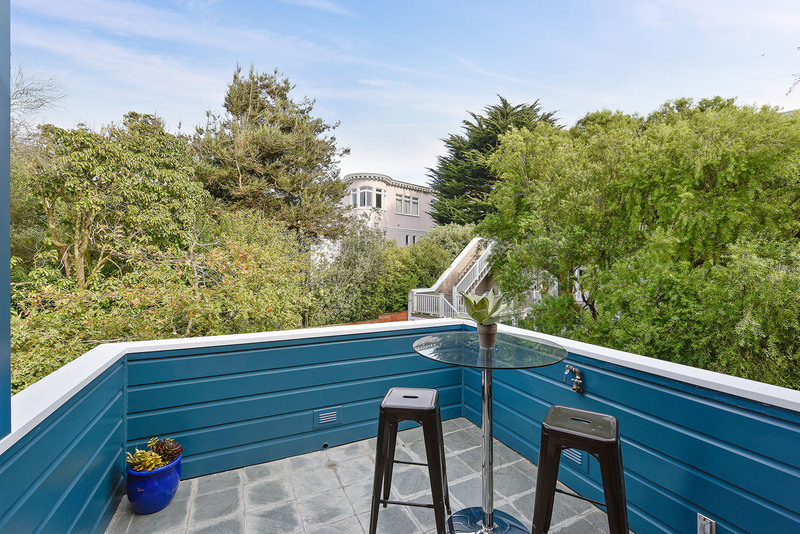 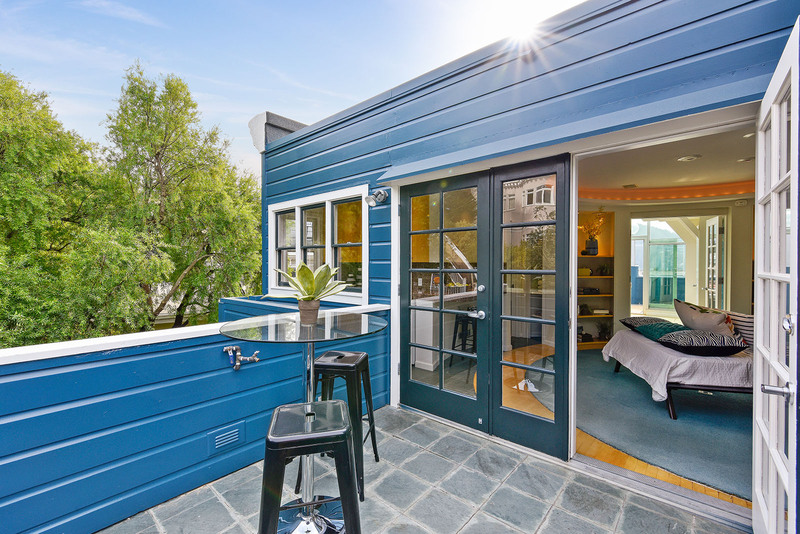 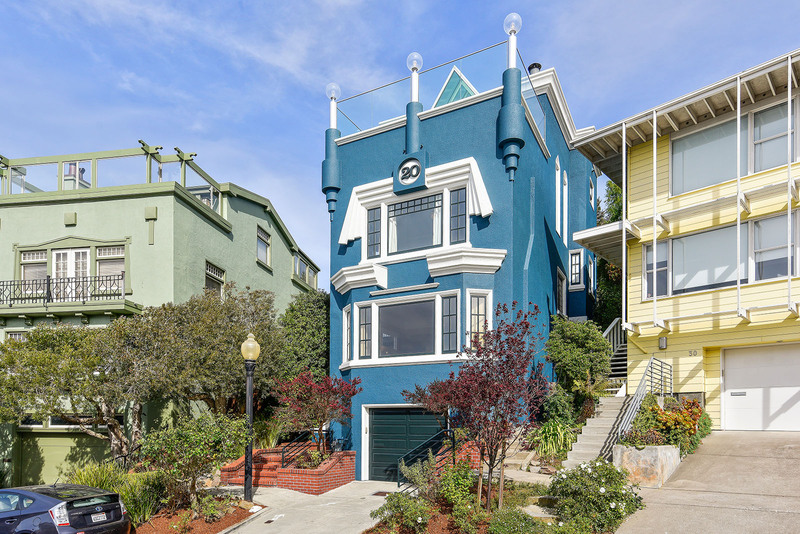 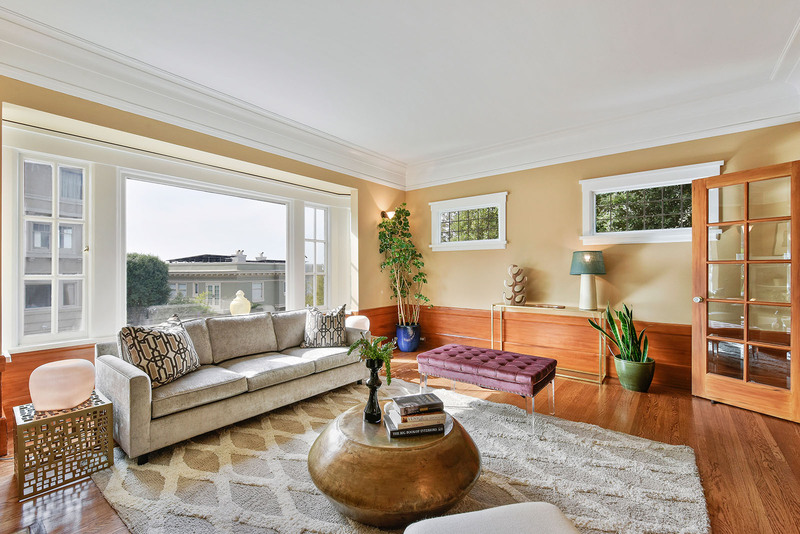 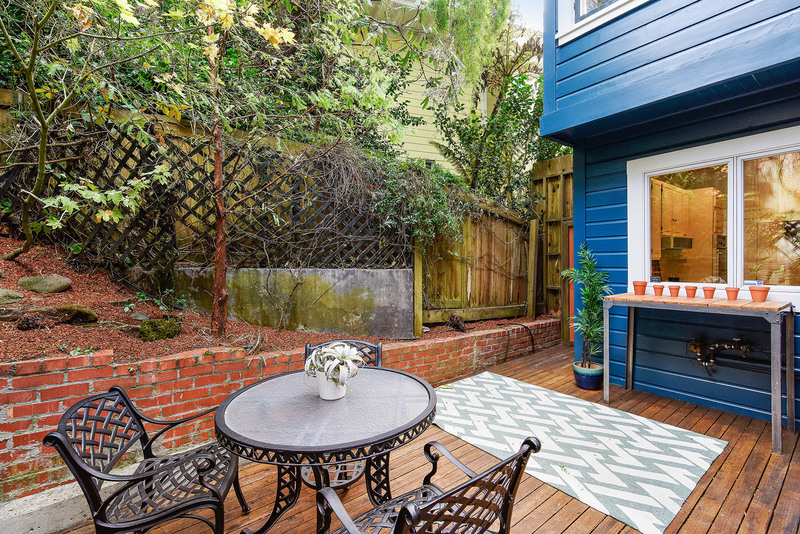 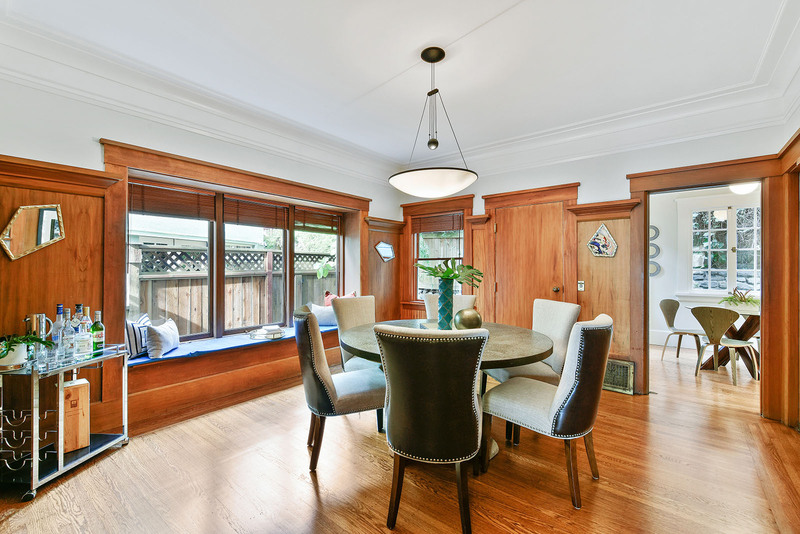 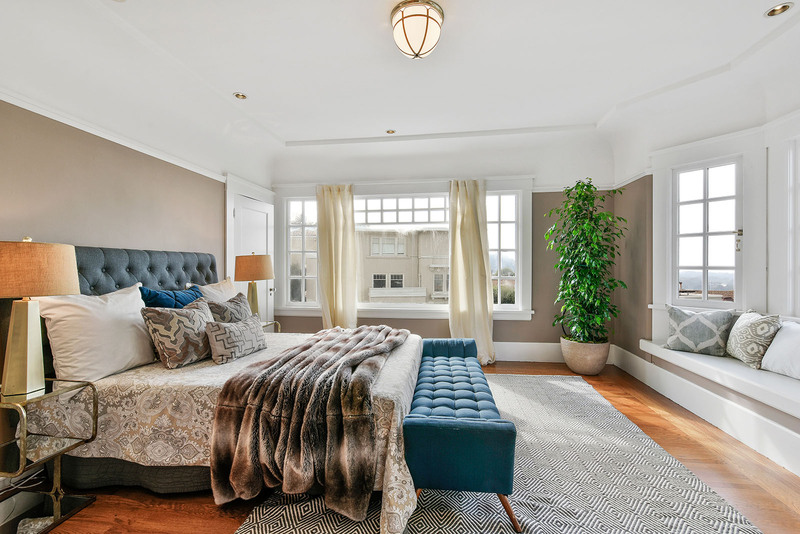 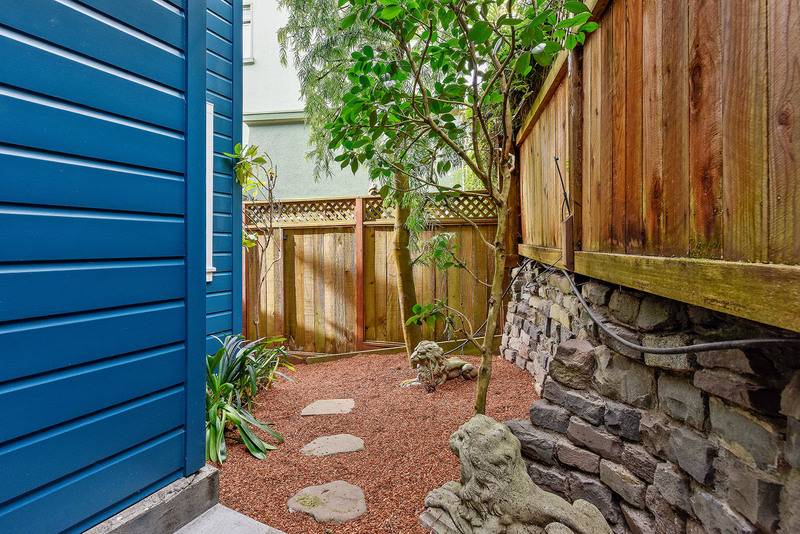 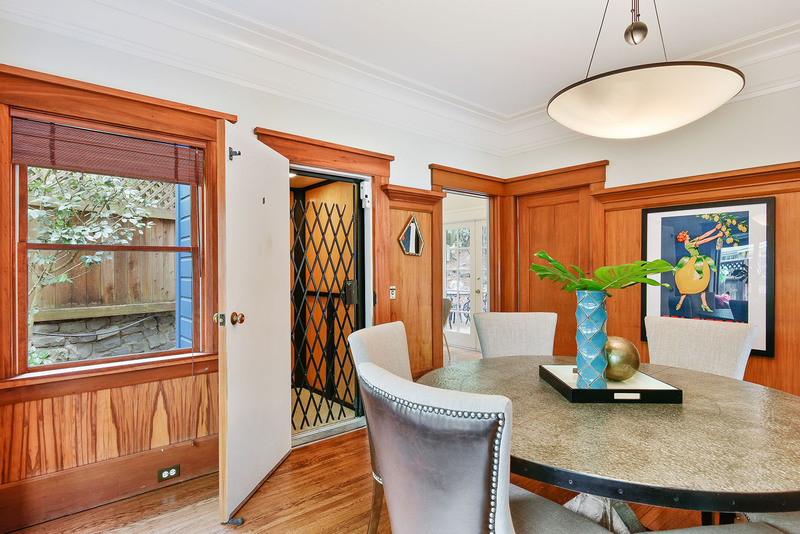 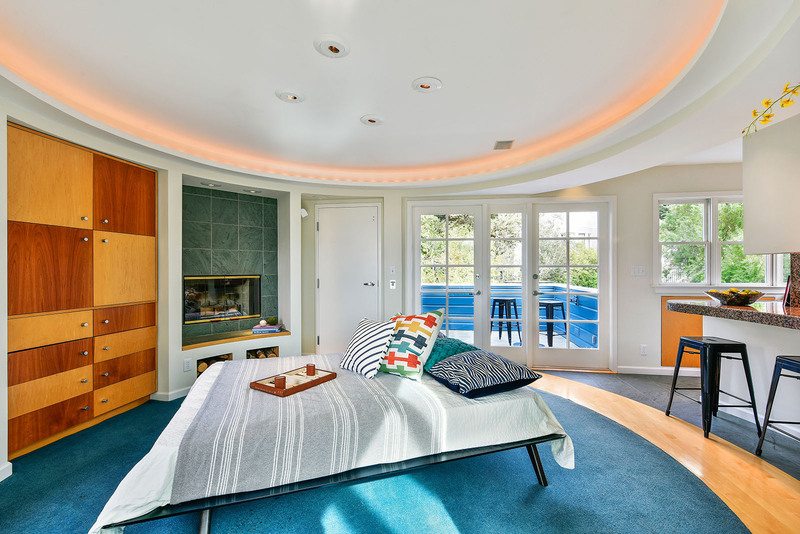 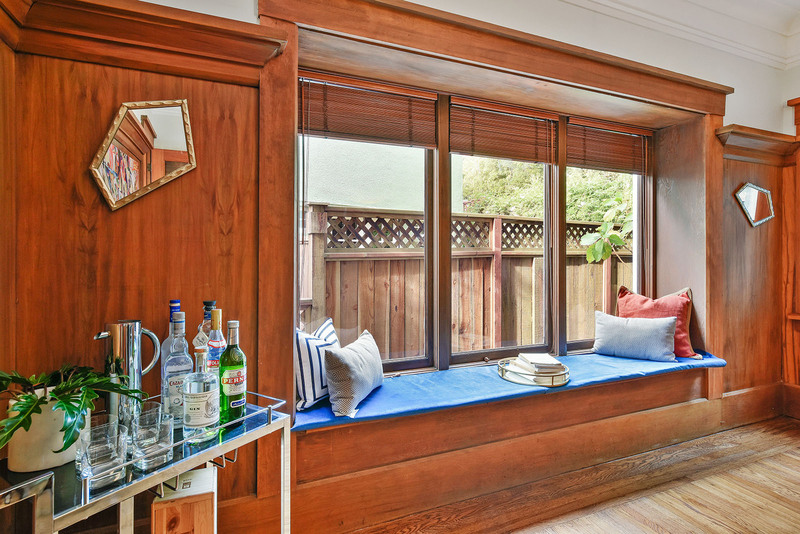 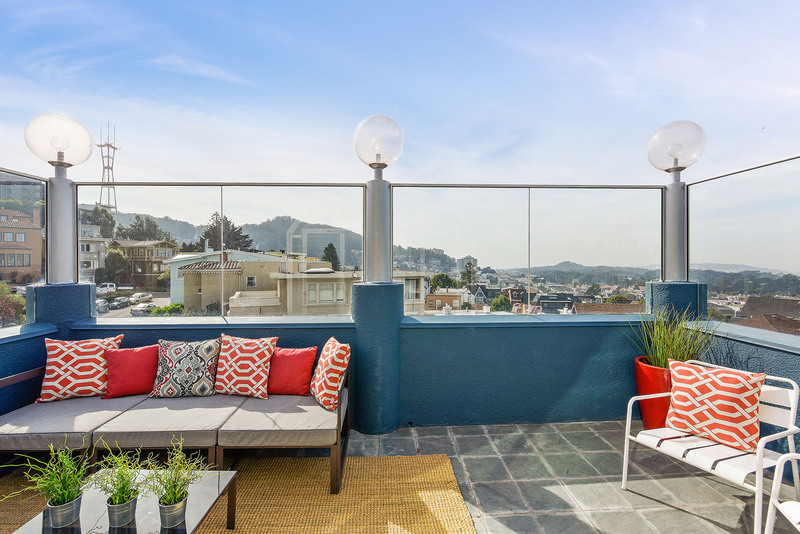 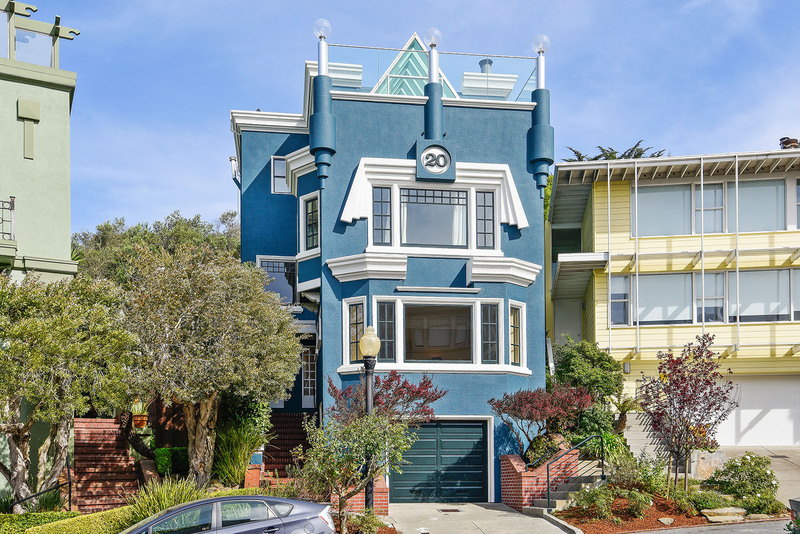 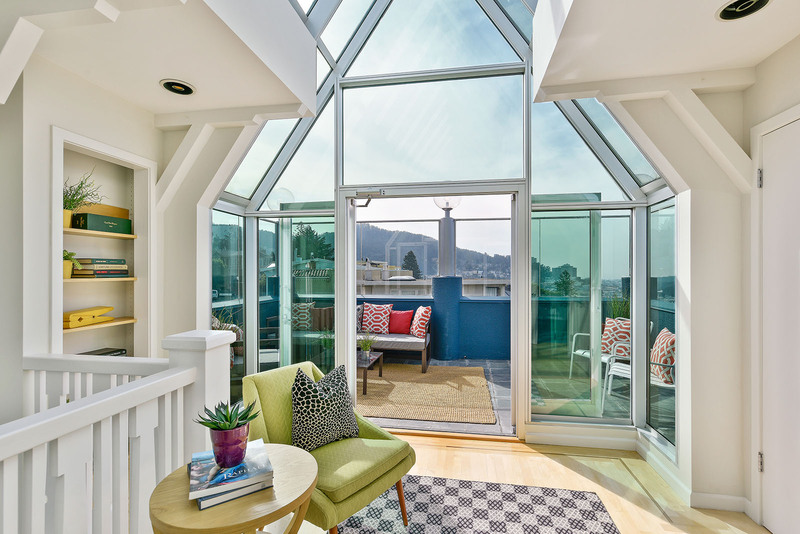 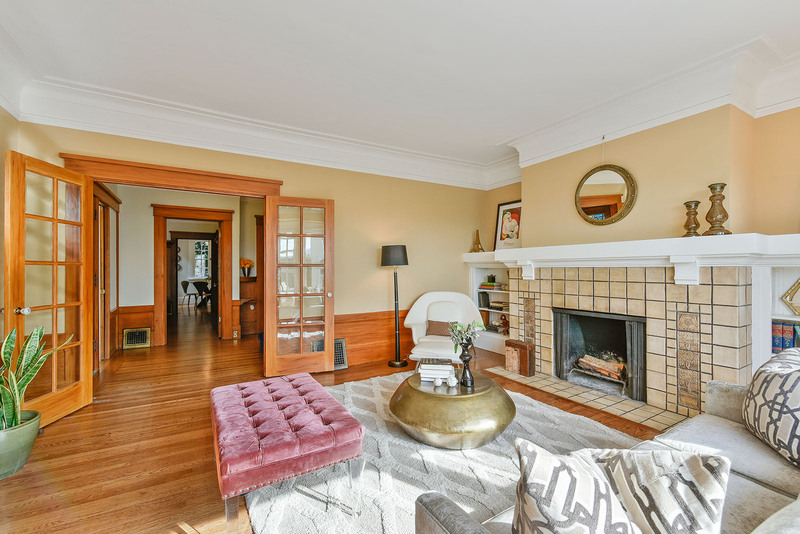 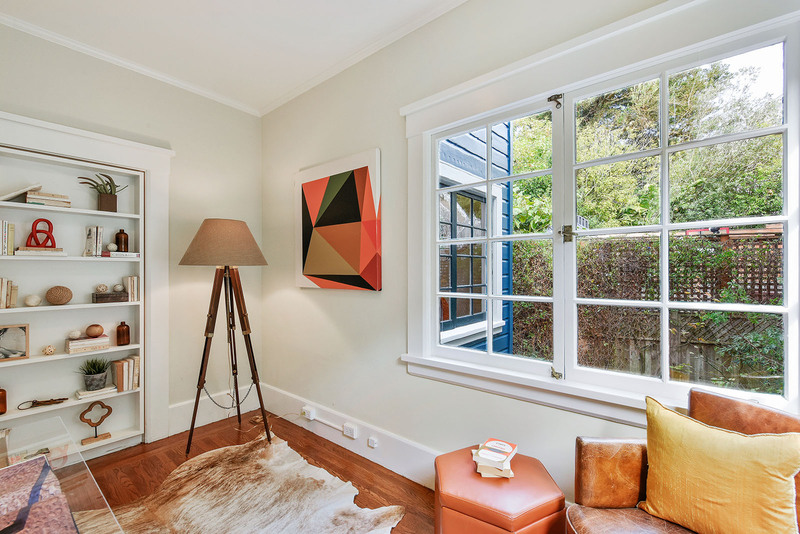 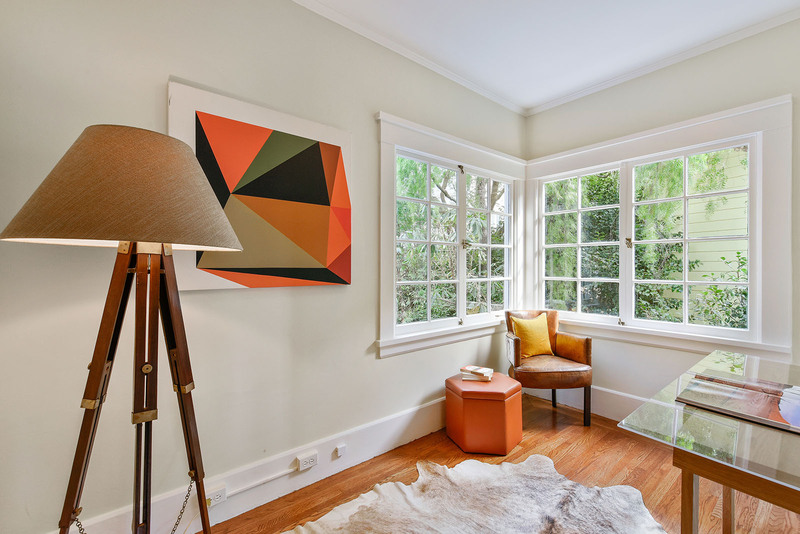 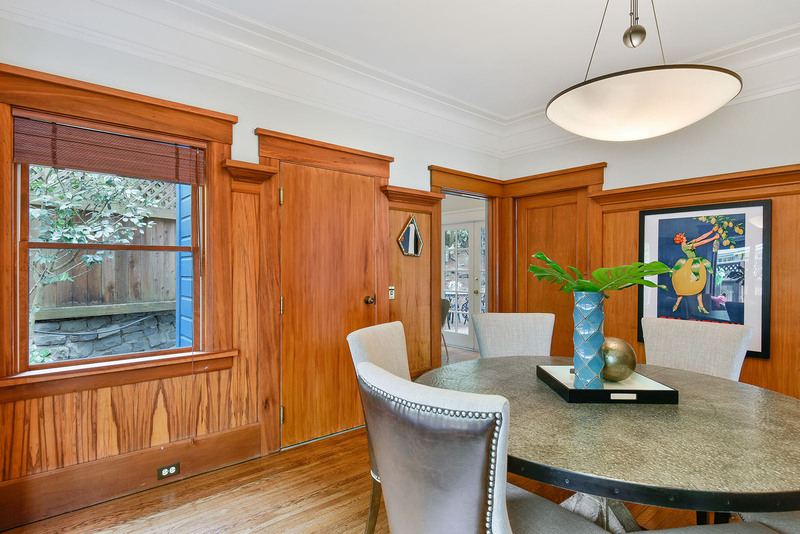 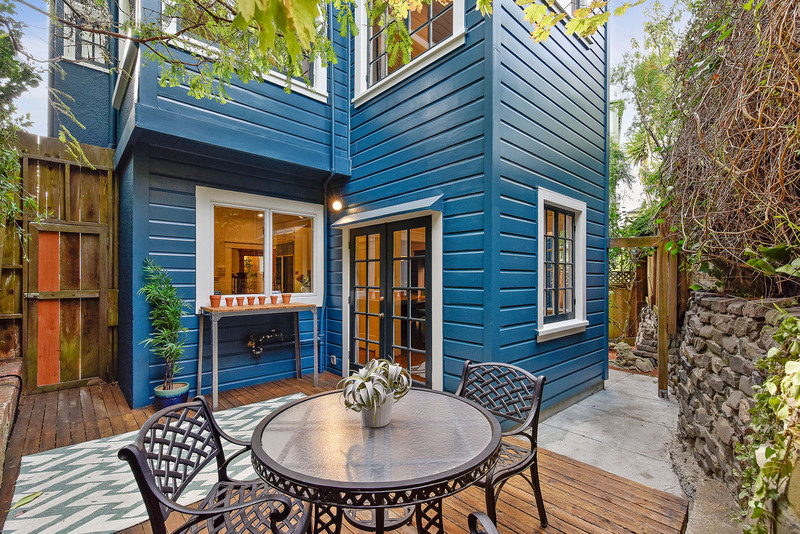 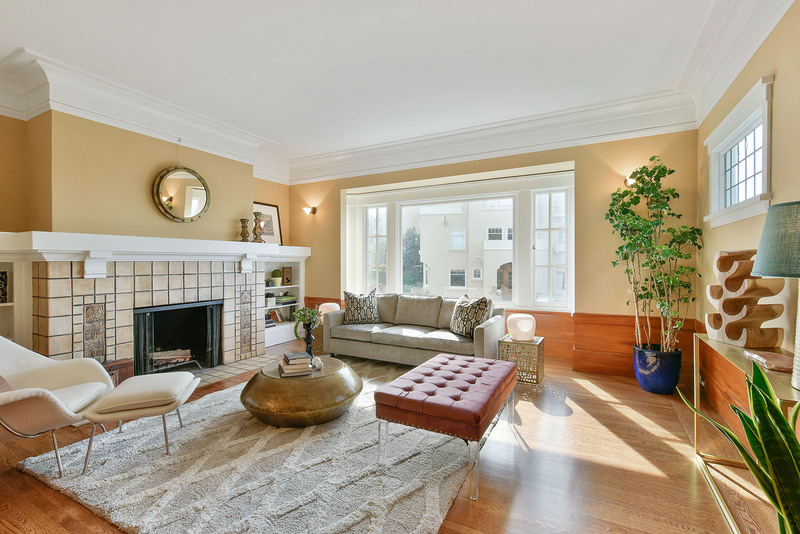 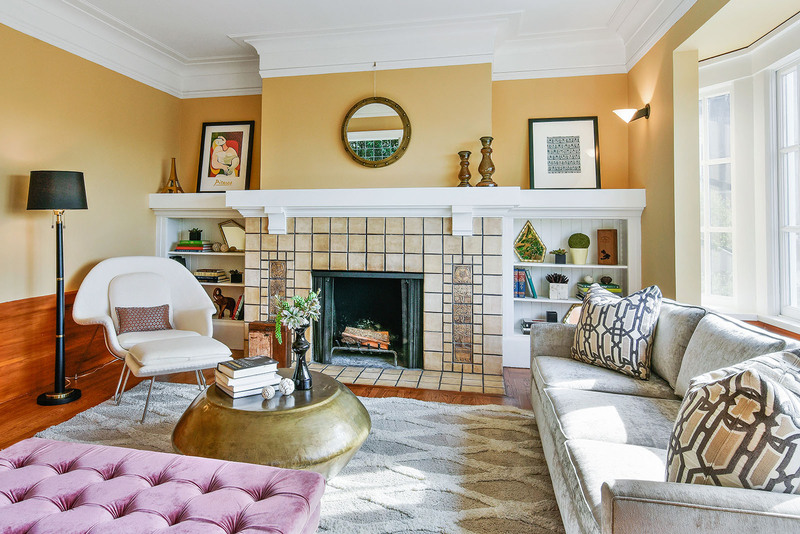 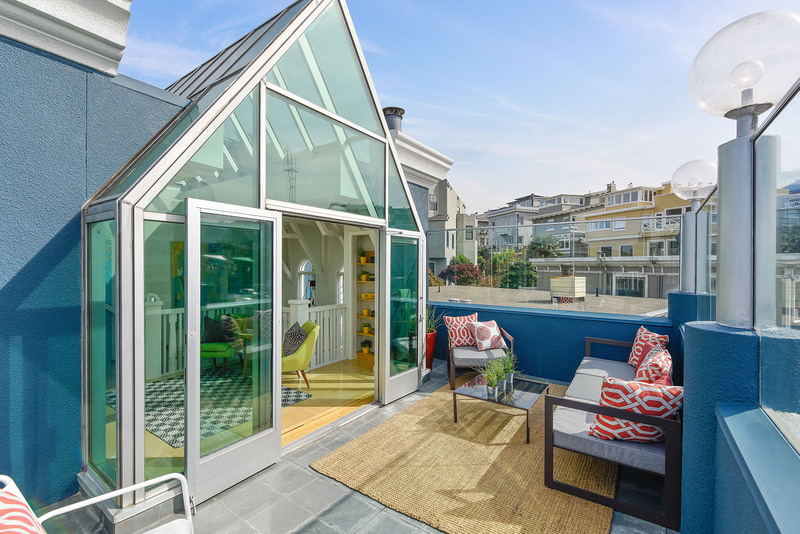 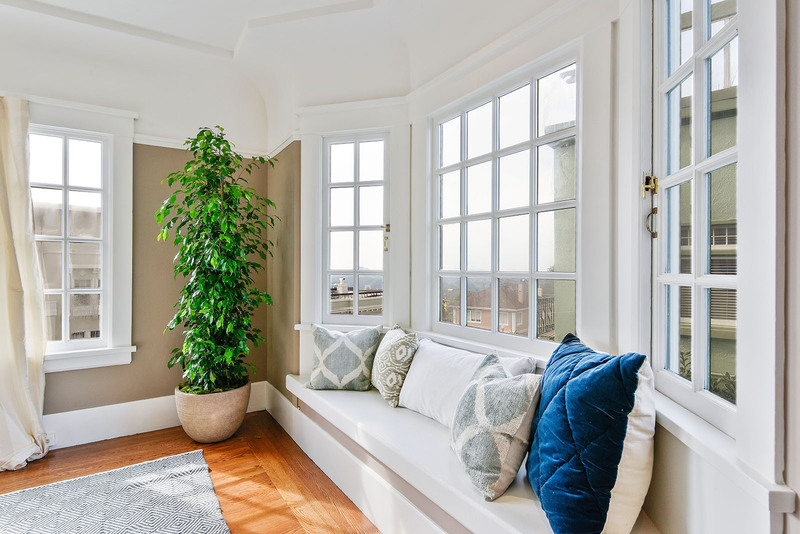 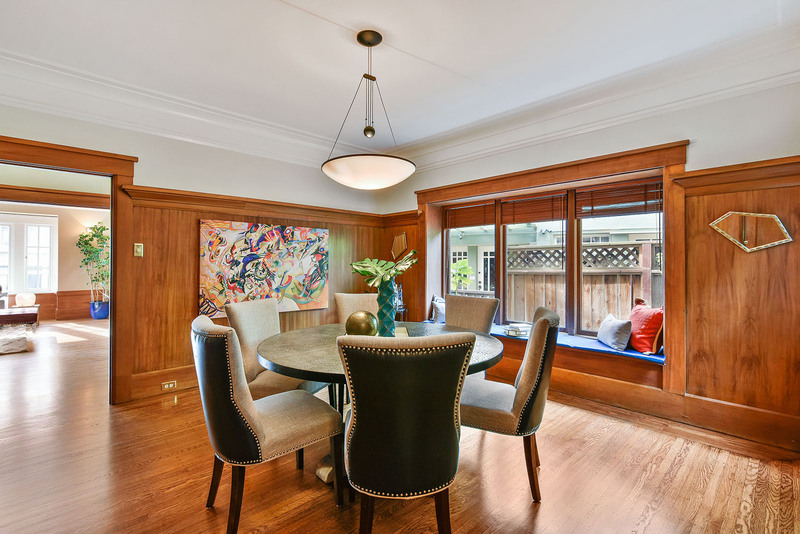 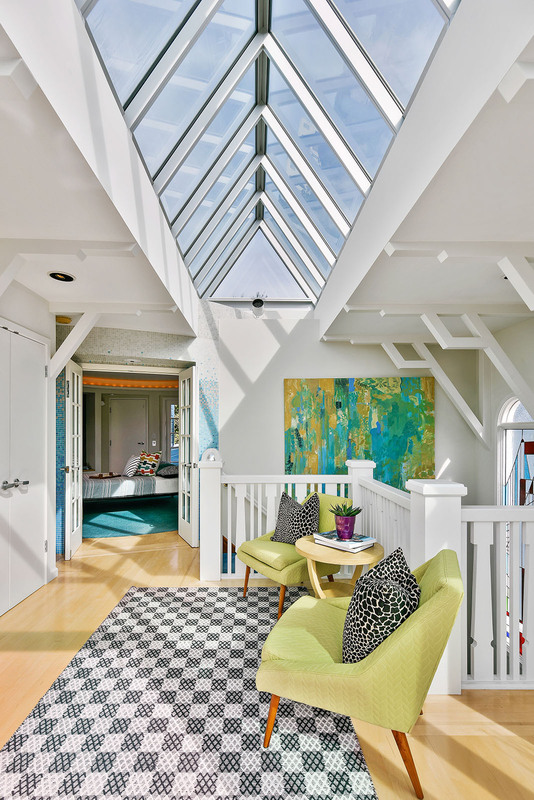 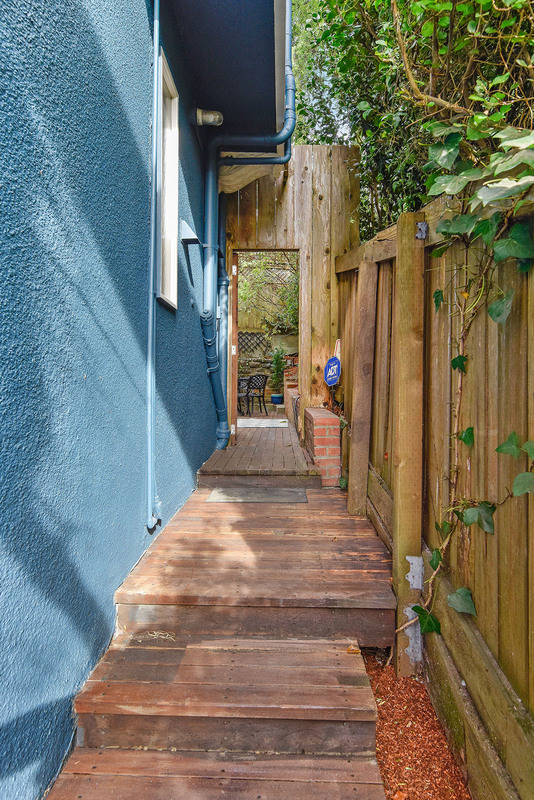 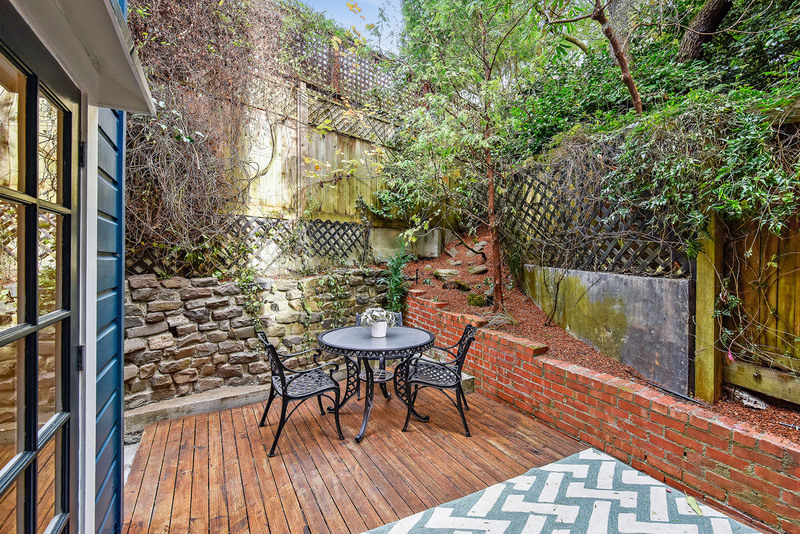 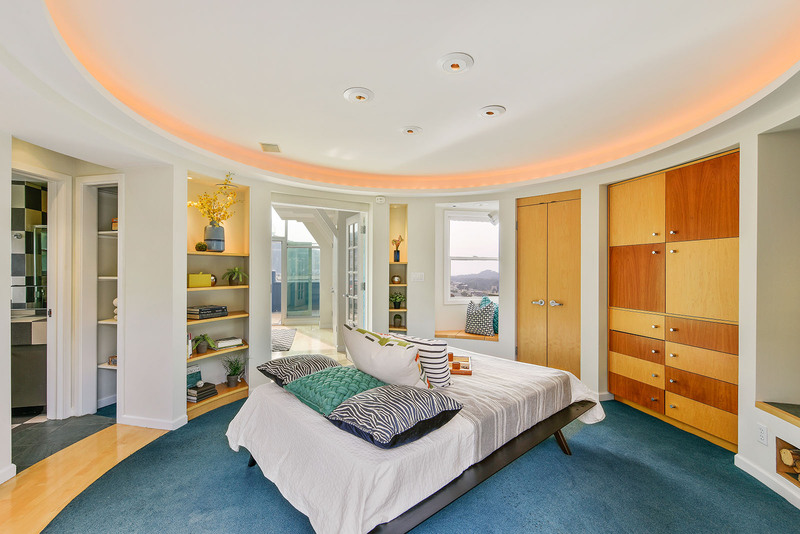 A rare jewel built in 1916, updated in more recent times, now crowned with an atrium suite, this handsome home is nestled on a hillside in one of San Francisco’s most coveted locations in Ashbury Heights. 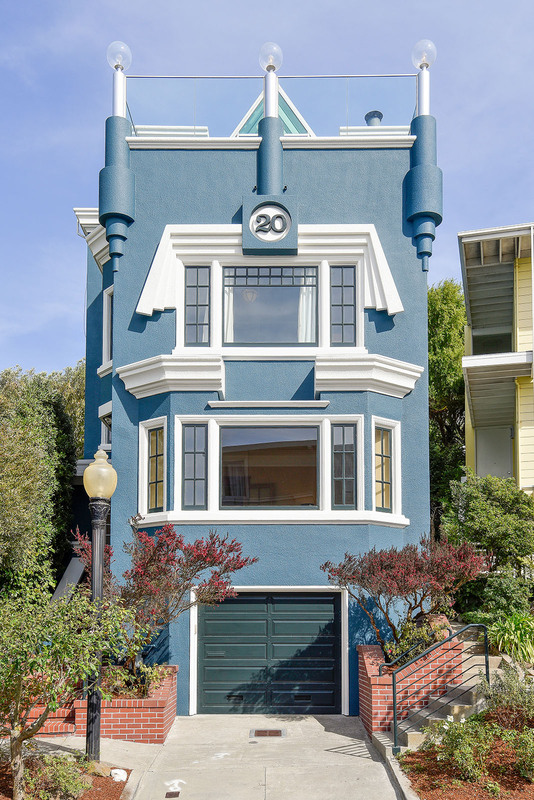 This stately detached Edwardian displays a marriage of elegant Arts & Crafts-style interior detailing and modern design on three levels. 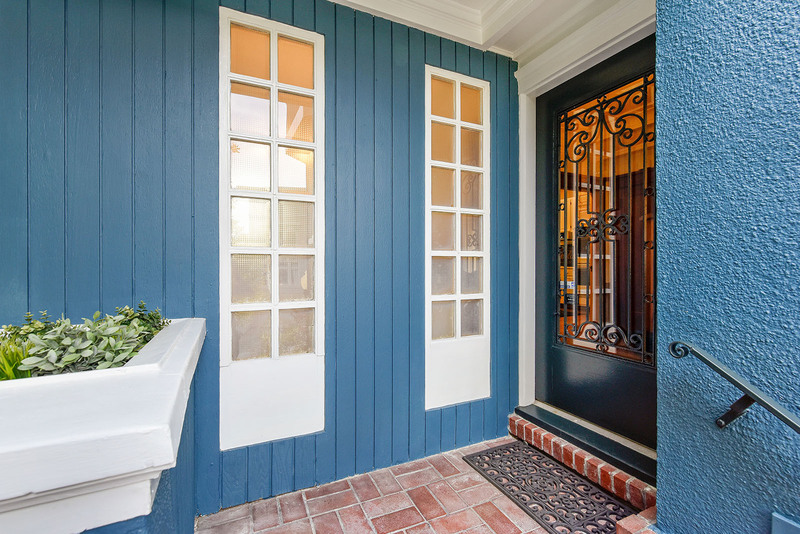 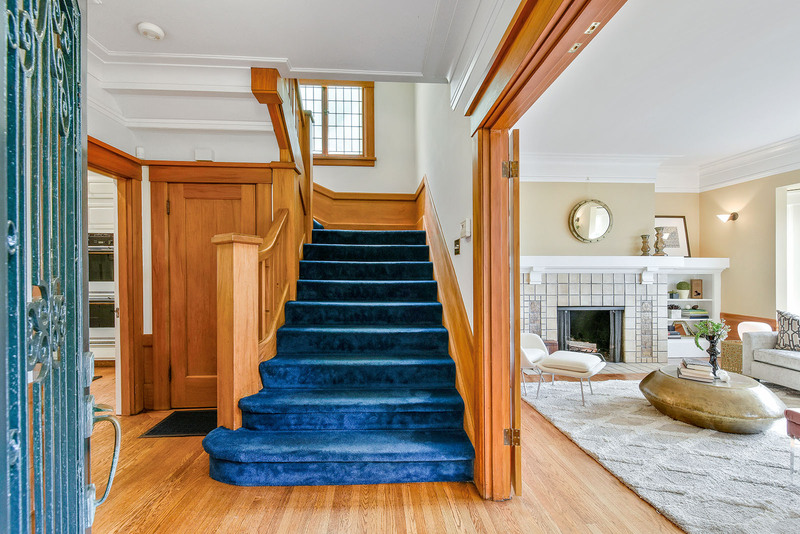 Enter into a gracious foyer showcasing a grand staircase and opening into a spacious living room with fireplace and formal dining room graced with vintage details & hardwood floors creating a warm & inviting place to entertain. 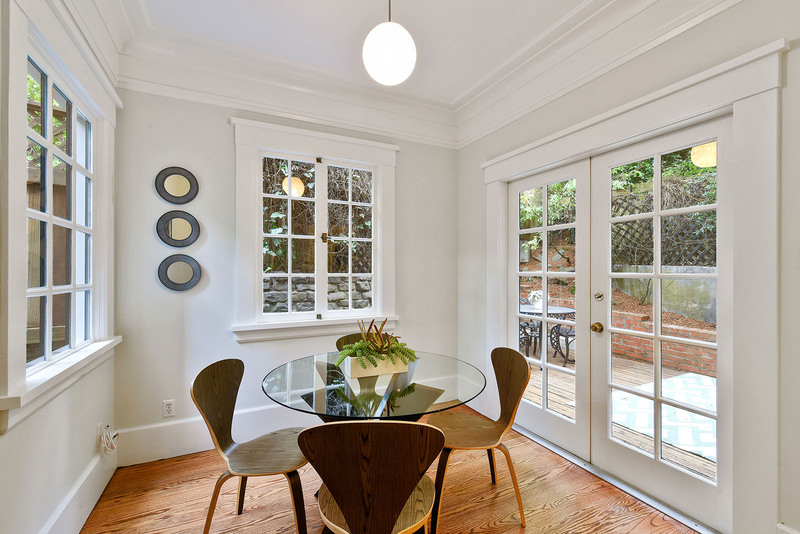 The formal dining room opens to a breakfast room with direct access to a landscaped, secluded garden. 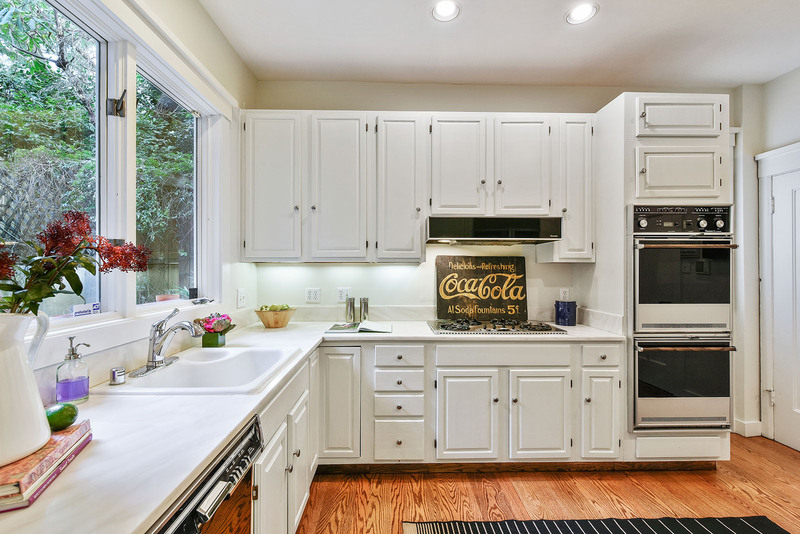 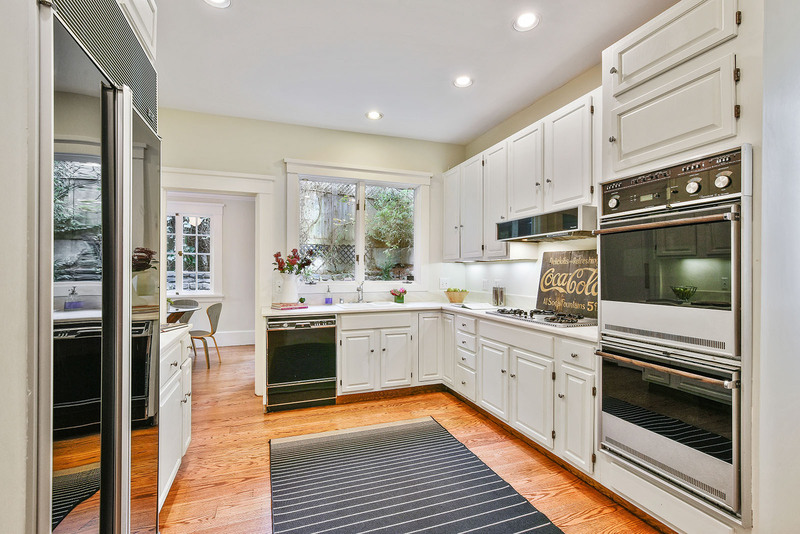 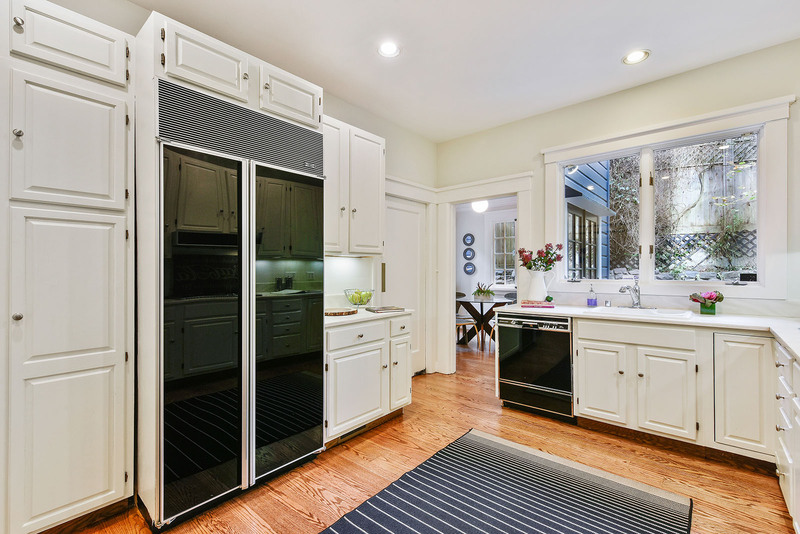 A large country kitchen with custom cabinetry & half bath complete this level. 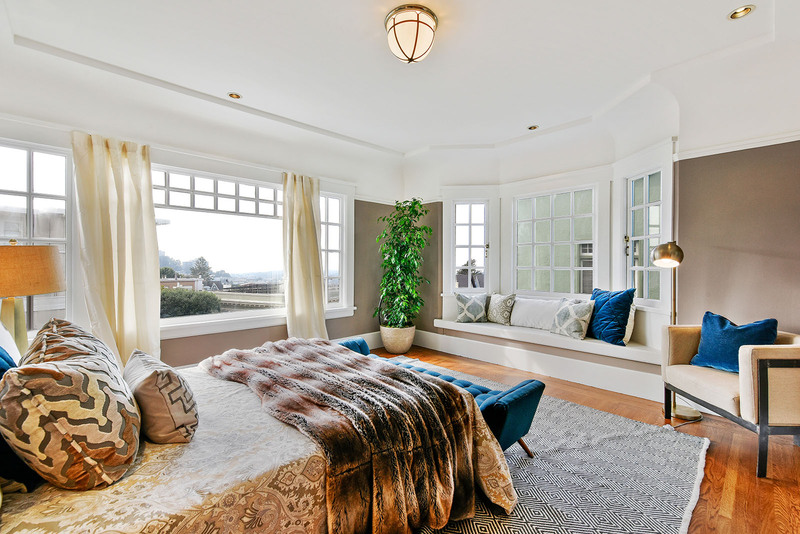 The second level features a large light-filled prominent bedroom, with ample closets & wall of windows capturing beautiful views. 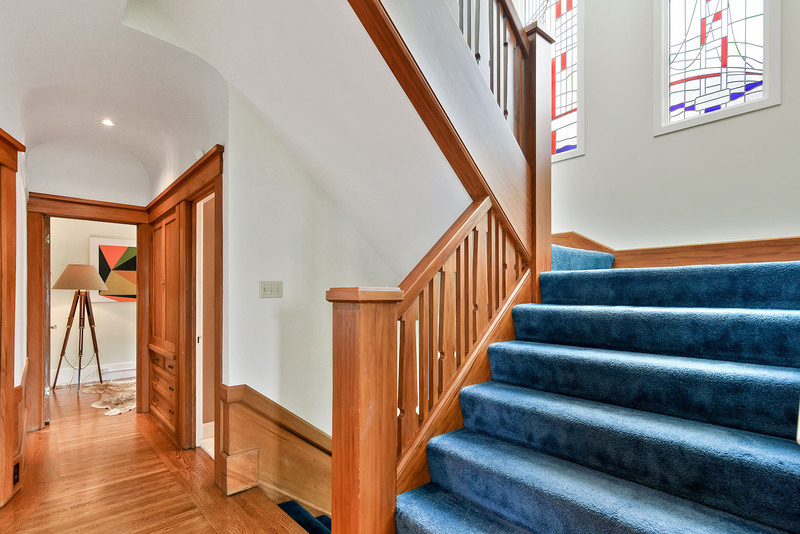 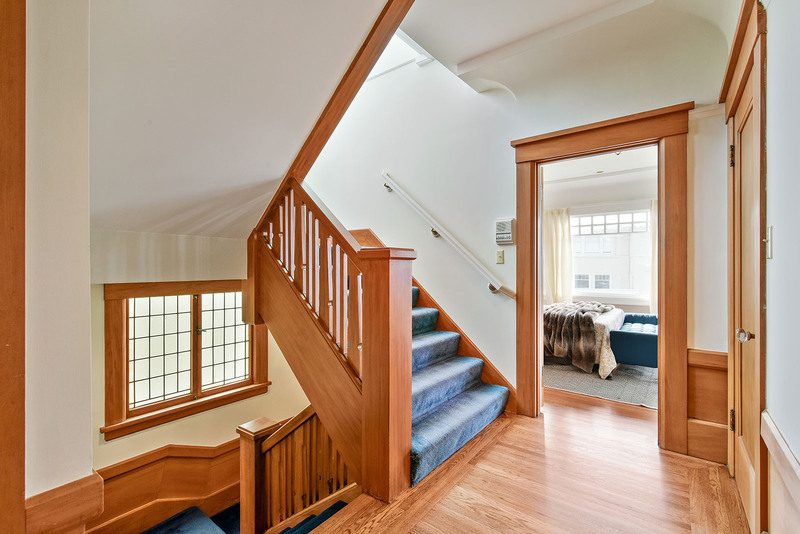 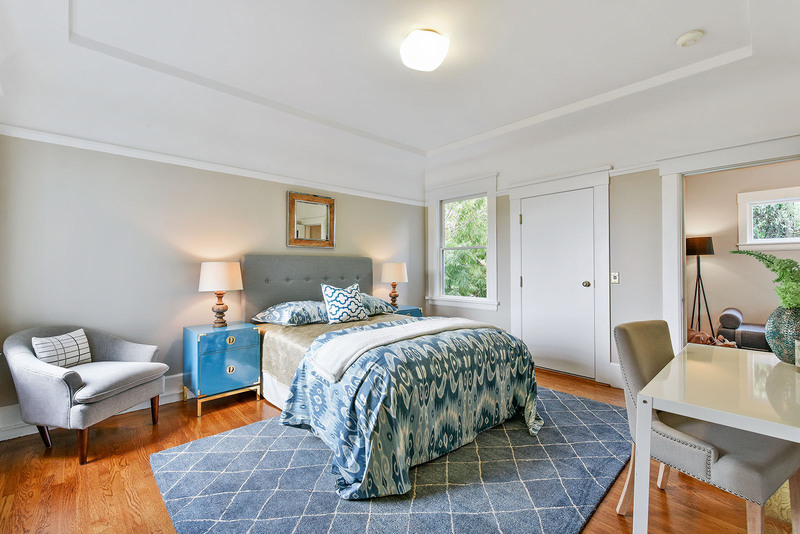 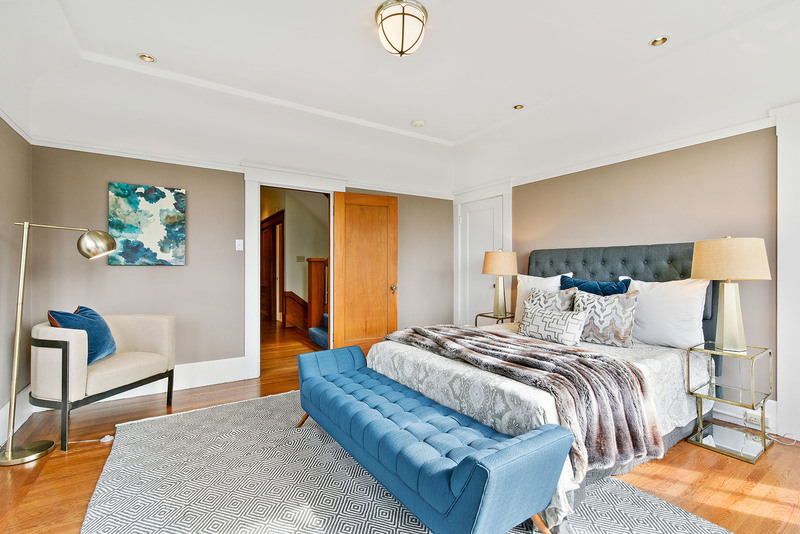 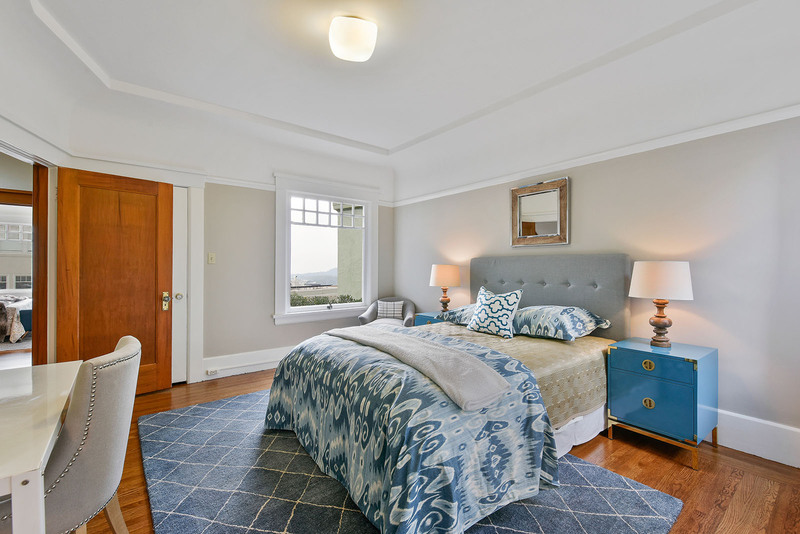 The staircase opens to a spacious side bedroom with more views, elevator access & adjoining sitting room. 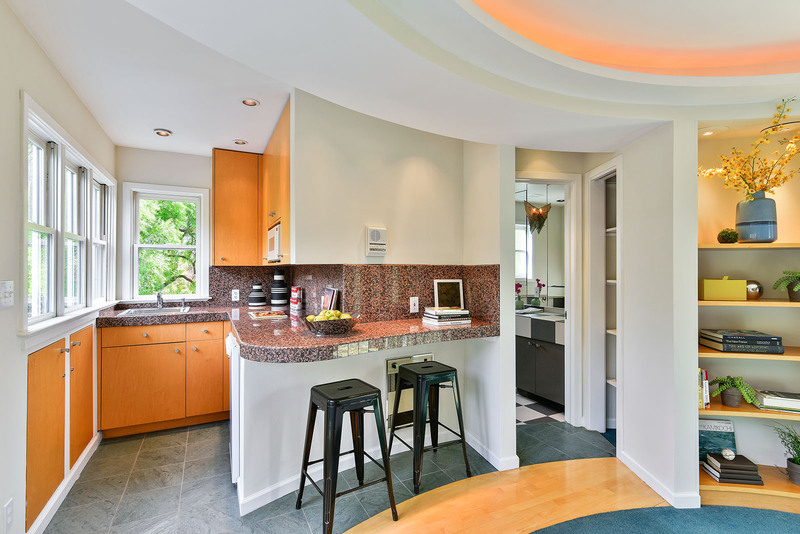 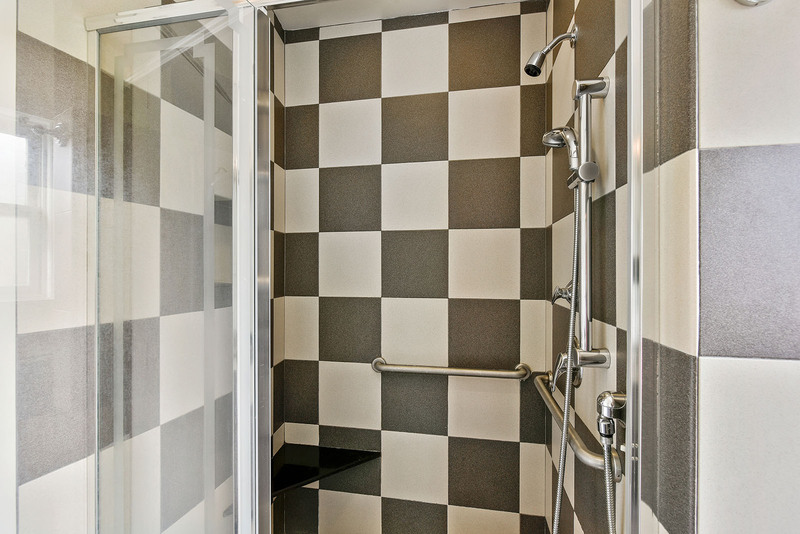 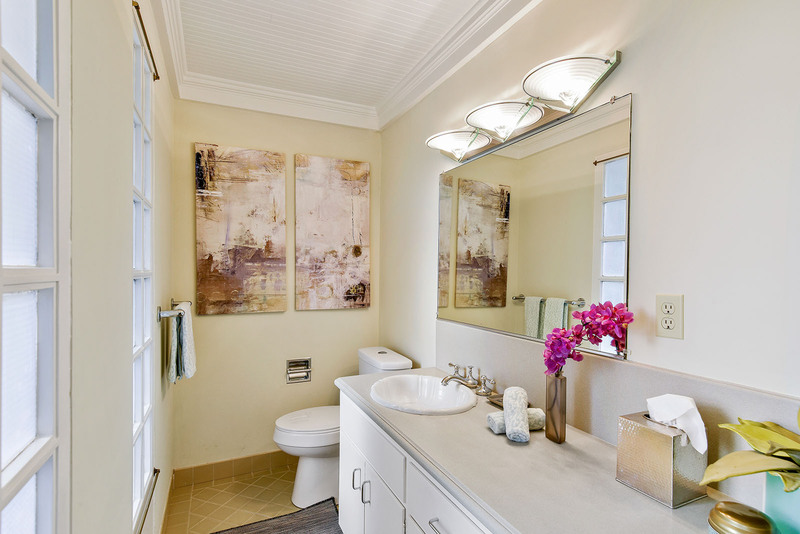 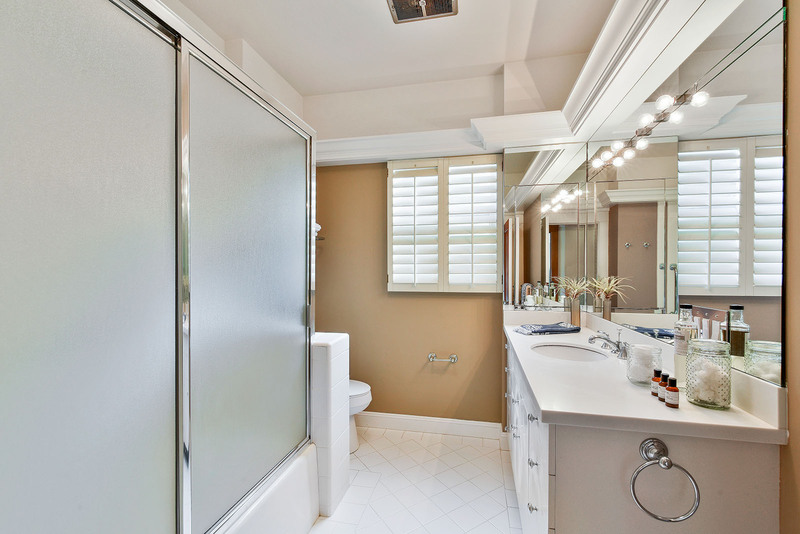 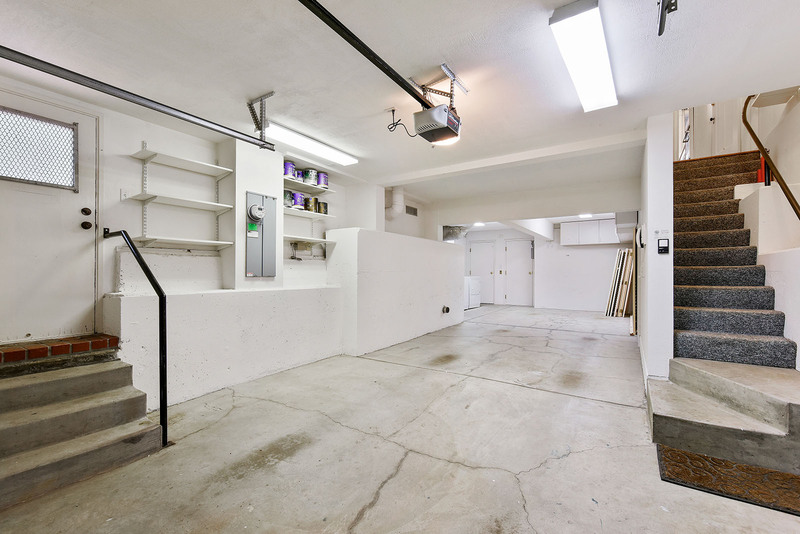 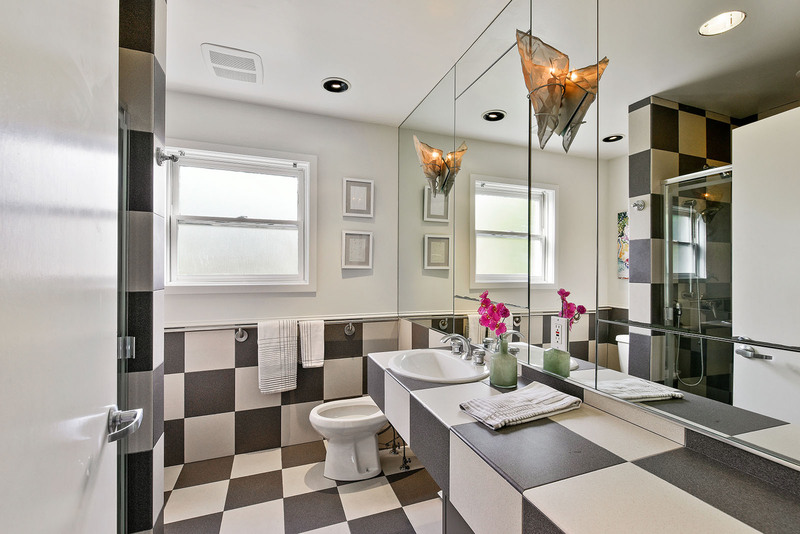 An office/den and full bath with custom cabinetry & shower over tub complete this level. 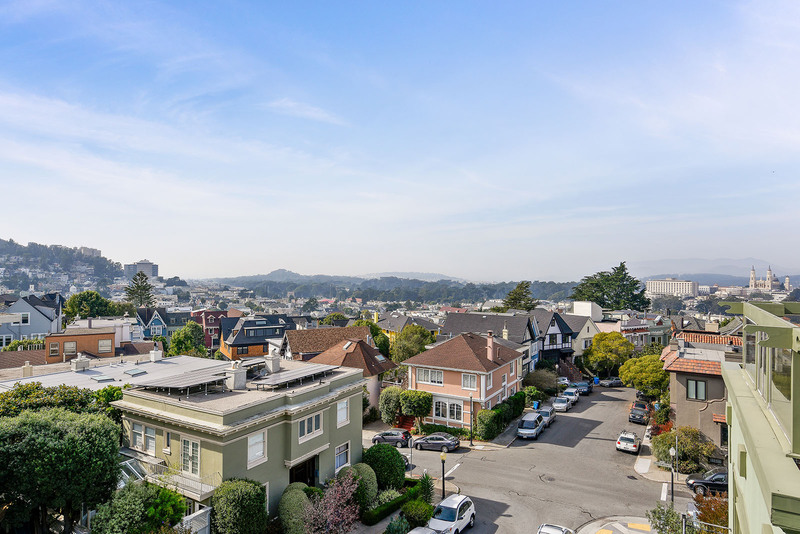 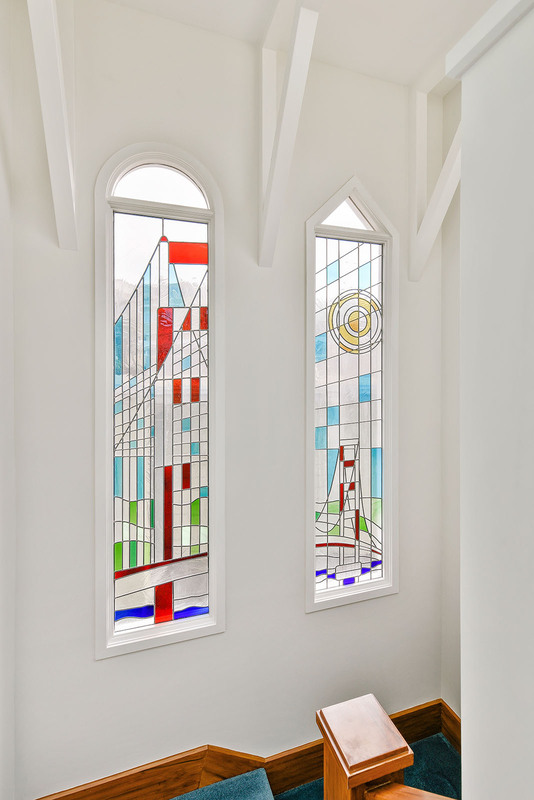 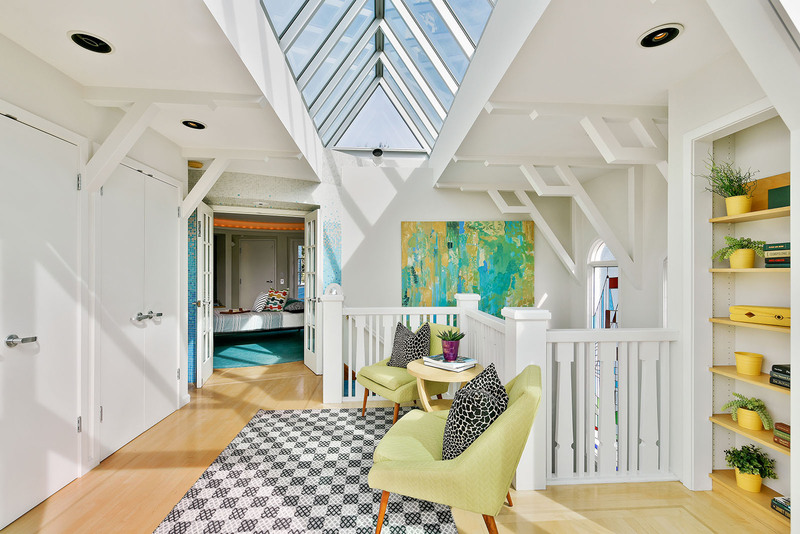 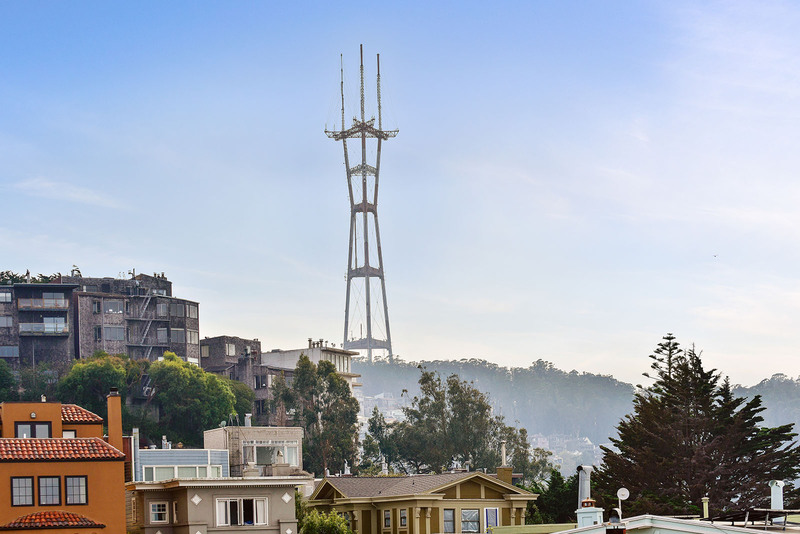 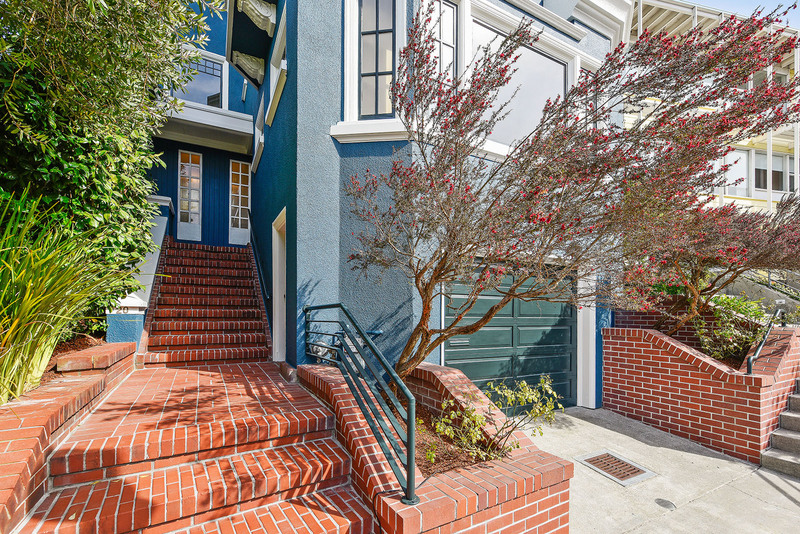 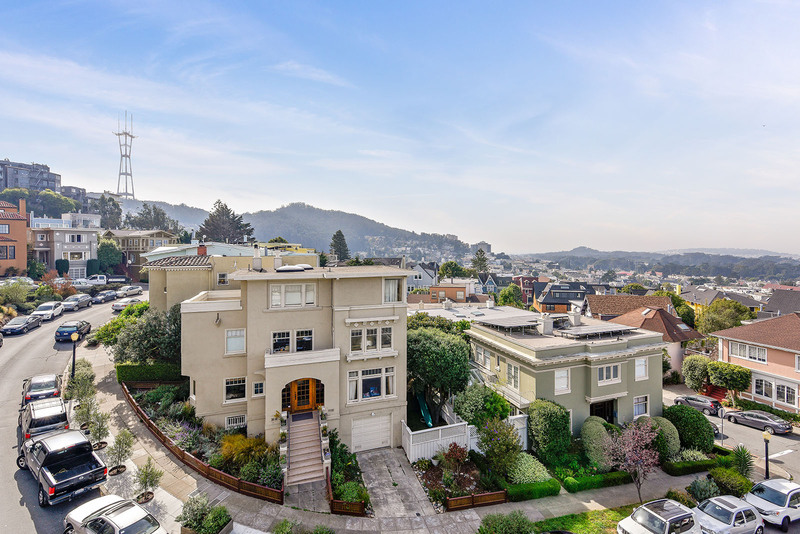 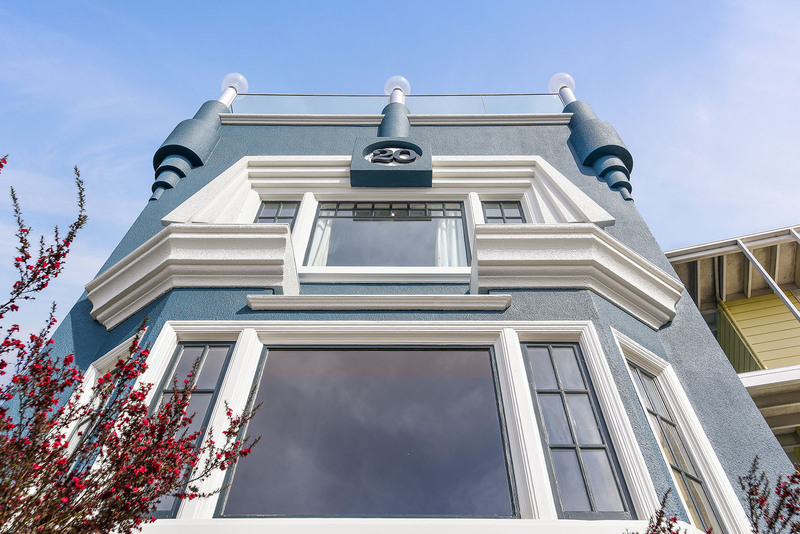 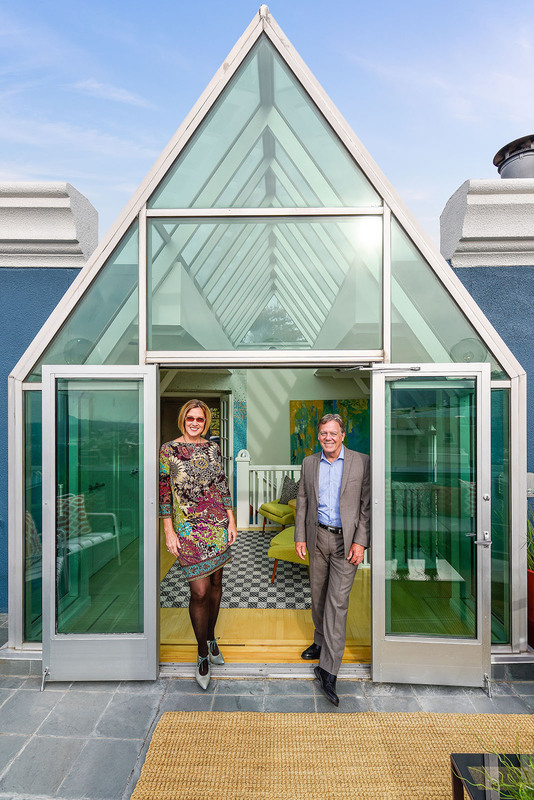 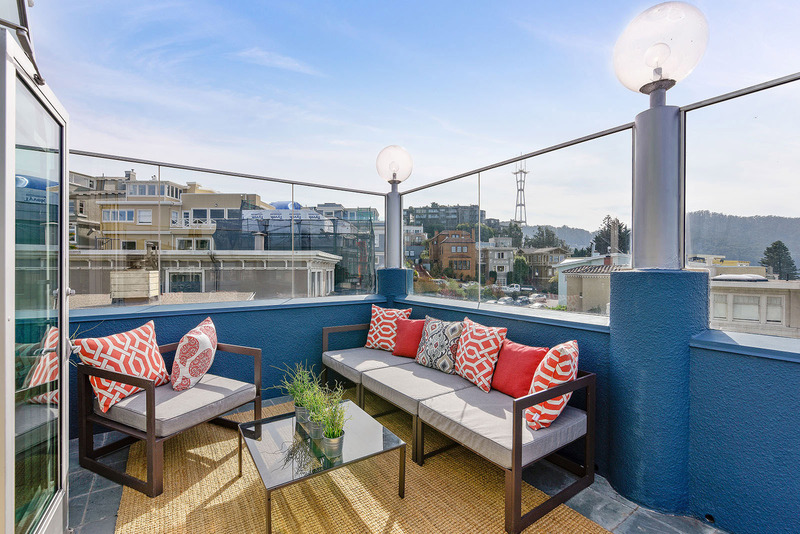 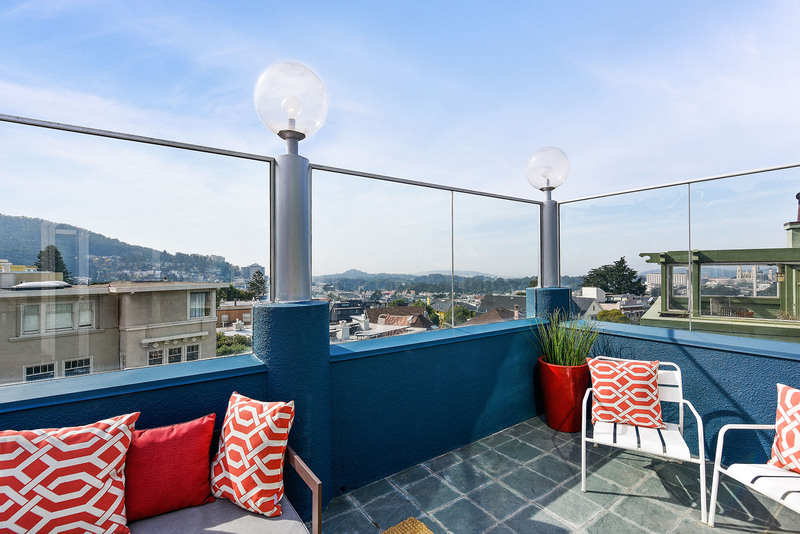 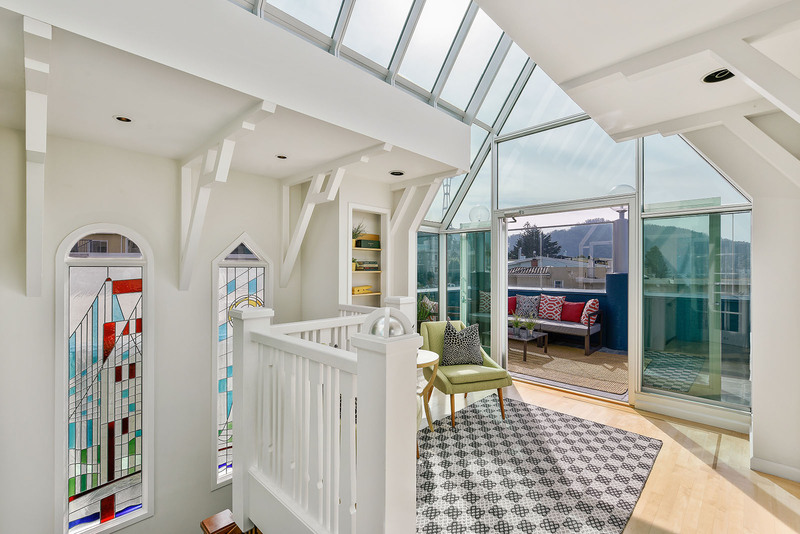 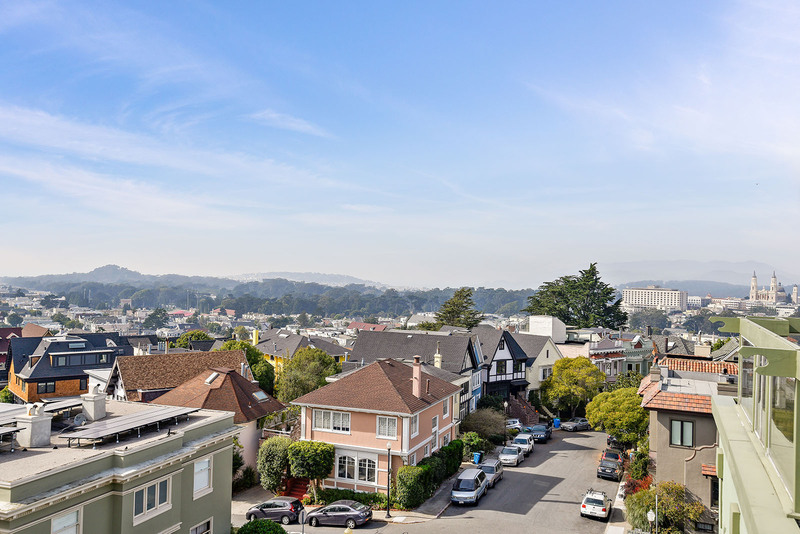 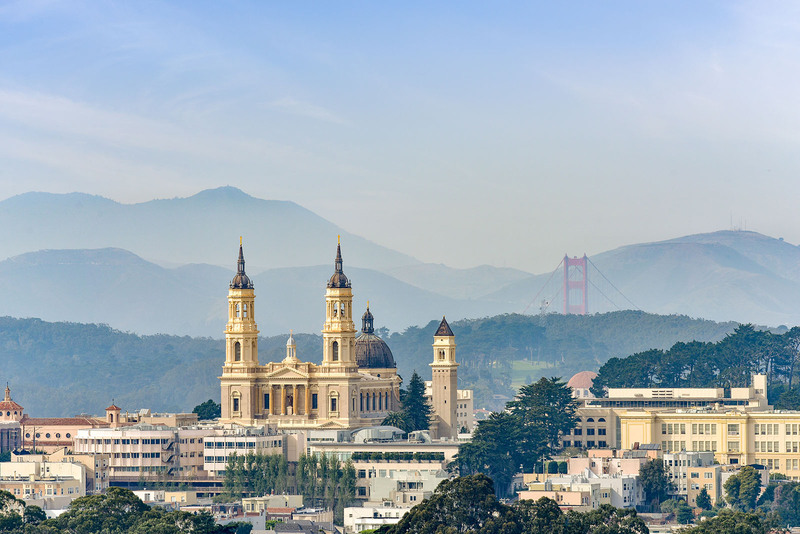 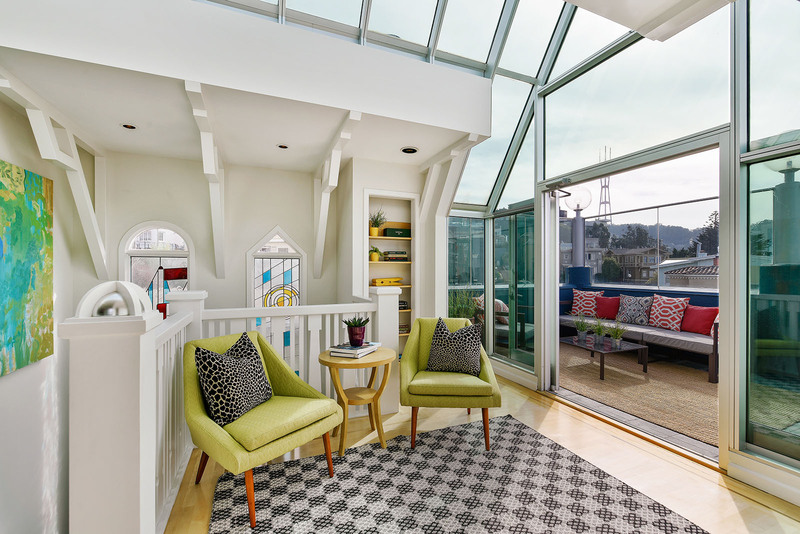 A grand staircase appointed with custom stained-glass windows opens to the upper level featuring a sun-filled atrium & walk-out deck capturing sweeping views of iconic San Francisco landmarks from Twin Peaks to the Marin Headlands. 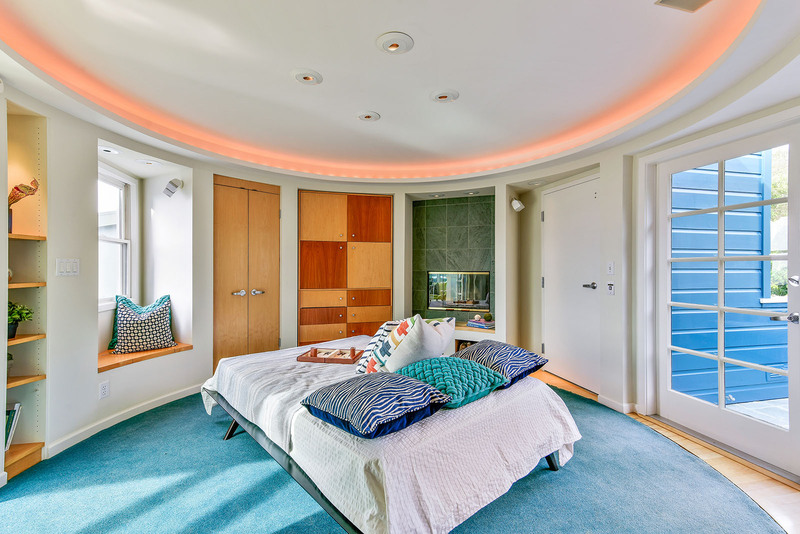 This level features a circular master suite opening to a custom designed bath, wet-bar, built-ins, fireplace, rear deck & elevator access. 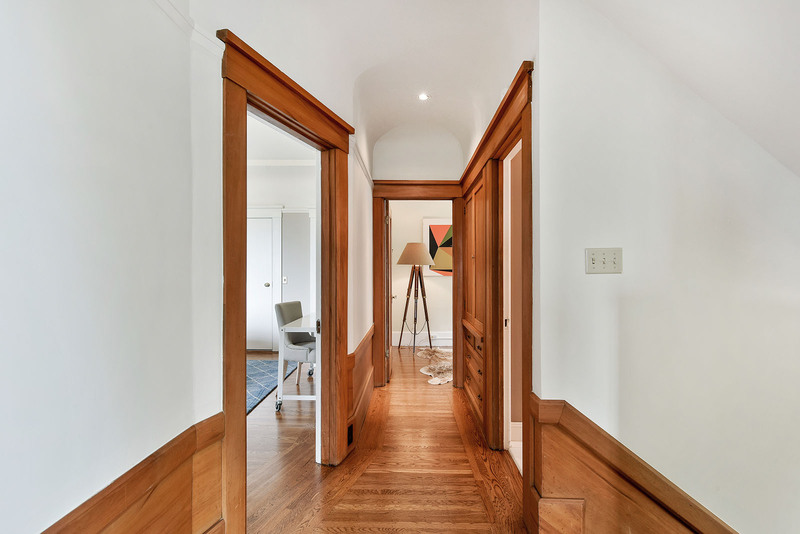 20 Ashbury Terrace is an exceptional place to call home!